ABC See, Hear, Do: Learn to Read 55 Words can be used in many different ways. Try these ideas to see what works best for your child! 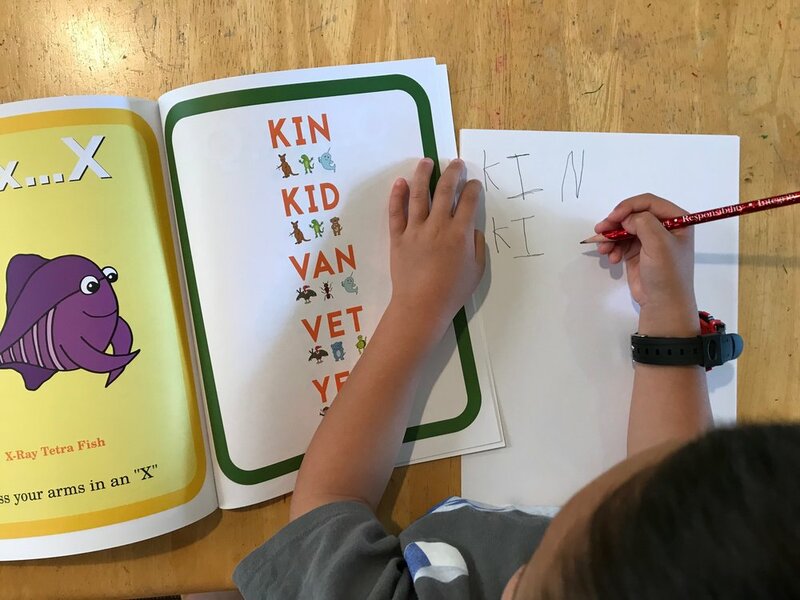 Use the book to review each letter sound and then supplement learning of the highlighted letter sound with crafts, activities, and games. The book is divided into sections of 4 letters. Work on each group of 4 letters until your child remembers those sounds. Go at her pace– this may take minutes or multiple days, depending on the child. Once she’s mastered the small group of letter sounds, help her read the words that correspond with those letters. After she has mastered each section, move on to the next. 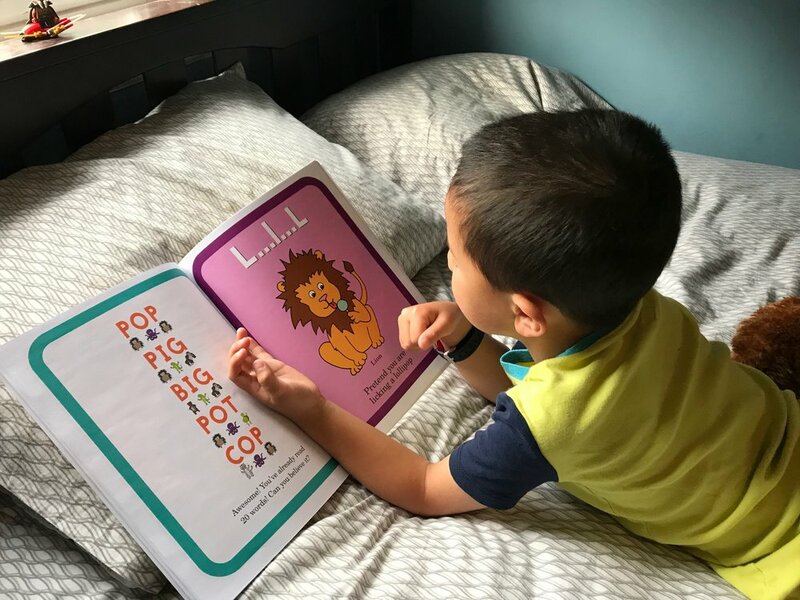 Go through the book with your child until he has learned all the letter sounds, skipping all the pages with practice words. After your child has mastered the sounds, go back to the word pages and practice blending sounds together. Sometimes kids are ready to read through the entire book, right off the bat. Help her learn each letter sound and let her try to sound out all the words. There are multiple variations of flashcards available to supplement this book. You can buy them here. As your child reads the book, encourage him to match the flashcards to words as a spelling practice. For children interested in learning to write, encourage them to copy words from the book onto a piece of paper. Then ask them to read the words on the paper. If your child has older siblings, involve them! Older siblings can read the book with their younger sibling and help her practice letter sounds. If your child has younger siblings, she can teach them the letter sounds as she learns them. This is a great way to both reinforce sounds and encourage family bonding. Encourage your child to play school and teach his stuffed animals the letter sounds. Or, for the more tech-savvy child, help him create a YouTube video in which he teaches the audience how to read. Above all, the best thing to do is follow your child’s lead. On one day, she might read the whole book. But the next day, she might want to practice only a few letter sounds. That’s okay. The point is to keep the process fun and engaging, so she will continue to enjoy practicing her reading skills. Are there other ways you use ABC See, Hear, Do: Learn to Read 55 Words? We’d love to hear about them! 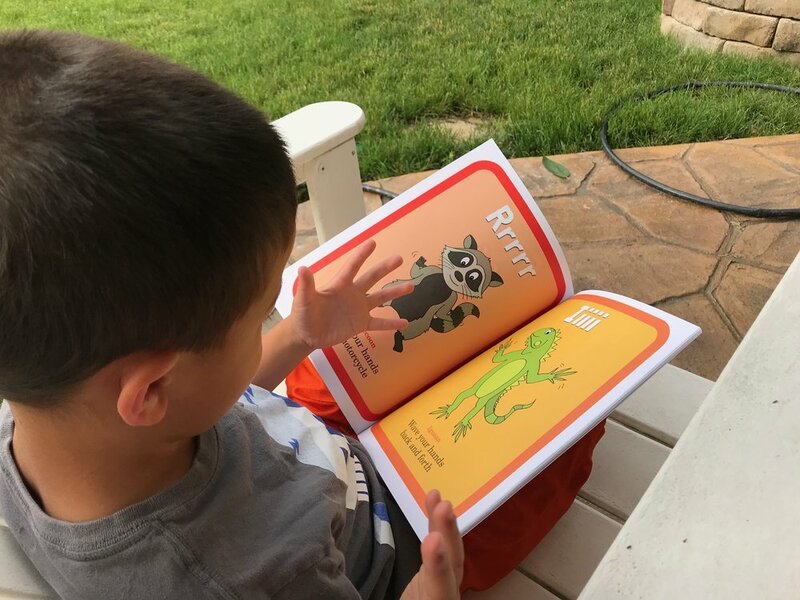 Are You Frustrated Trying to Teach Your Child to Read?